The Quality Inn is located near the Home of Rex Allen and at the Gateway to the Chiricahua National Monument.Complimentary hot breakfast buffet 7 days a week. 24 hour front desk. Exterior corridors. Free parking. All rooms have free high speed internet, 27 TVs, hair dryers,irons/boards and in room coffee makers. 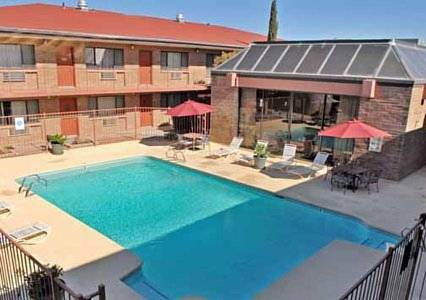 The hotel features a pool and free parking. Tombstone history, narrated by Vincent Price! Multimedia done the good old fashioned way -- with cams, gears, and clunky effects. In the town founded by radio preacher Asa A. Allen, who claimed he could raise the dead. You can visit his grave.